Let your friends know they can protect all users,on all devices, at any time with Palo Alto Networks. 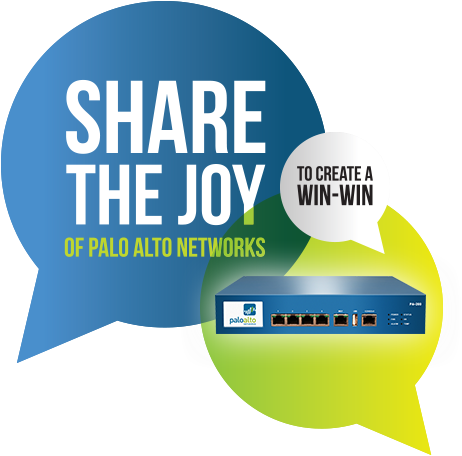 When your friend's company completes a Palo Alto Networks firewall evaluation, he or she will receive a free PA-200, and you'll receive a free wireless speaker. Provide us with a friend's contact information, and we take it from there. Our team will follow up to learn what type of firewall is needed based on the environment. Once an on-site appointment is set up, your speaker will be on its way. Have lots of friends who can benefit? Let us know. They could earn a PA-200. It's that easy to reap great rewards.